The NCC Academy is part of the National Caravan Council and provides training to people and businesses within the caravan, motorhome, holiday and residential park home industries. 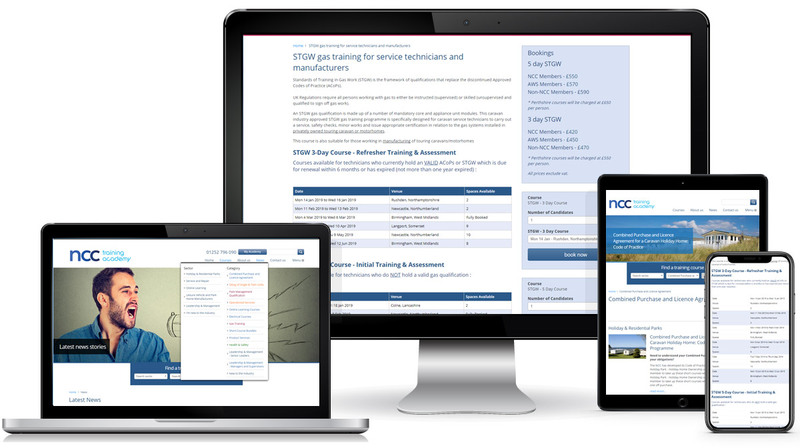 Netguides have worked with the NCC Academy for several years providing the website and the Gema Training Management System. This Gema System manages all the booking and delivery of both classroom and elearning courses and maintains the records of skills achieved by individuals in the industry. Via the MyAcademy section of the website users can access their profile and their elearning courses and training managers can manage the training within their organisations.